Please view the love we received during Halloween here ! We shall be getting to printing and writing them by end of this month. Please stay tuned as we have so much lined up in store for November! 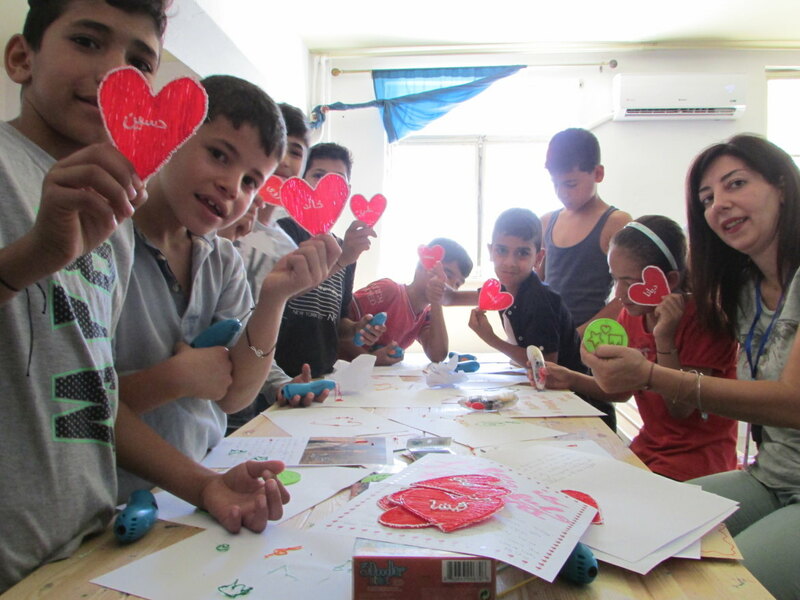 Letters of Love in collaboration with PRECISE, a 3D printing and immersive computing specialist in the Gulf Cooperation Council (GCC), delivered 3Doodlers that are 3D pens that enable users to draw in thin air, to Syrian Refugee children tended to by El Sistema Greece at Schisto Refugee Camp. Each pen was accompanied with a heartfelt letter of love written by employees of PRECISE as well as a personalised 3D heart doodled for each child with their name in Arabic inscribed in it. The idea of the collaboration was to make education fun and encourage it amongst refugee children in an interactive manner. "We gave them to the kids to draw notes and the sol key. They also made their own creations. They were very touched with the letters and their own personalised heart with their names on it. It was really beautiful! We kept a few pens and the teachers aim to use it as a teaching tool. It is very fun teaching notes with these pens." PRECISE sets a great example of how one can do business for good and your generous contribution has been making refugee children smile ever since :). Thank you very much ! "I want to do something about it", is what gave birth to Letters of Love in 2015. Today, we've come to realise that you and tens of thousands of others echo just the same resolve. Therefore, it is with great joy and gratitude that we inform you that from being an online initiative, Letters of Love is now a youth-led international non-profit organisation that aspires to make a difference to global refugee crises through handwritten letters. We work towards providing psychosocial support to refugee children as well as creating an aware, empathic citizenry of young changemakers. We hope to have your unwavering support as we begin this new chapter in creating a kind world for refugee children.